Both Boom Bikes were out and about at the Tall Ships Regatta, Blyth, Northumberland this last weekend 26th-29th August. Dan and Ash played DJ sets throughout the festival with Sian and Paul joining for Boom Bike Bourrée sets on Saturday and Sunday. We got a great reception from the festival crowds and have to complement the town of Blyth for putting on a great show, with special thanks to Claire and the team Culture Creative for looking after us so well. 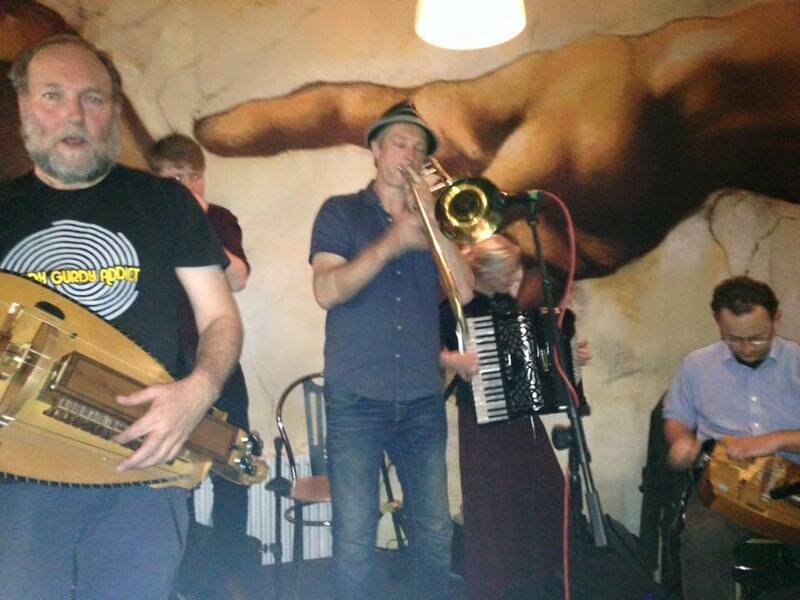 On Saturday we did our first stage gig with Boom Bike Bourrée at Lancaster Music Festival supporting The Balkanics. Apparently Cerys Matthews mentioned the festival on BBC 6 Music and picked up on the description of our style as medieval hip-hop. The result was that the gig was rammed, the crowd went wild and they had to send out for more beer! Paul Sherwood has set up a Facebook page for the band which currently has almost 200 likes. It'd be great to see if we can get that up to 200! See the gigs page for upcoming appearances with BoomBikes but we are (now) also up for stage gigs. Photo credit to Nick Lakin, Lancaster District Music Forum. Lots more to come here, please come back soon.